On Monday October 17, 2016, Ontario Teachers’ Pension Plan (OTPP) announced it would acquire the Canadian business, Constellation Brands Inc. in a $1.03 billion deal. This move will allow OTPP control over many of Canada’s top wine brands, their vineyards and production facilities. 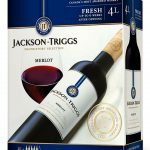 Constellation’s Canadian brands include Inniskillin and Jackson-Triggs; Teachers’ will also continue to distribute the company’s international brands, such as California’s Robert Mondavi and New Zealand’s Kim Crawford. Constellation Brands Canada is headquartered in Mississauga and operates three commercial wineries, five estate wineries, and 163 Wine Rack stores throughout Ontario. “We see growth opportunities and that is part of our strategy in private capital — we look for strong companies, strong brands and strong growth potential,” said Teachers’ spokesperson Deborah Allan, adding that the wine market is growing overall and Constellation is the market leader in Canada. This entry was posted in Things You Should Know. Bookmark the permalink.